MILTON, Vt. - April 16, 2018 - PRLog -- Designed to assist small maple syrup producers and deliver sweetness to tables across America, Vermont-based Sweet Adoptions unveils its innovative maple tree adoption program in the heart of the 2018 maple sugar producing season. Sweet Adoptions is an "adoption" service that allows conscientious consumers to reap the sweet rewards of Vermont's annual maple syrup crop. The program will also help keep small maple producers on the working landscape, with select Vermont sugar makers getting direct proceeds from every adopted tree. Upon enrollment, those who adopt a Vermont maple tree from Sweet Adoptions (www.sweetadoptions.com) will receive a package containing a frame-worthy adoption certificate containing GPS coordinates of their tree, shareable packages of pure Vermont maple sugar candies, two half-pints of pure Vermont maple syrup and a package of Lowell Mountain Mills pancake mix. In addition, they'll be emailed a digital photo of the tree and linked GPS coordinates. The Sugar Moms and Sugar Dads - those who adopt the trees - will also receive a quarterly digital newsletter with maple news, recipes, and special offers from maple producers. To top it off, a fall mailer containing colorful autumnal leaves and other tasty maple treats will be delivered during the peak of Vermont's foliage season. "We've put together a delicious package of syrup, candy and pancake mix," said Scott Goodwin, Chief Maple Officer of Sweet Adoptions. "We take it deeper than that by giving people a sense of stewardship in 'their' maple tree and 'their' maple producer. We're giving maple sugar makers a portion of our proceeds so they can keep maple trees on Vermont's working landscape, and we're checking in periodically to make sure our tree parents are vested in the process." 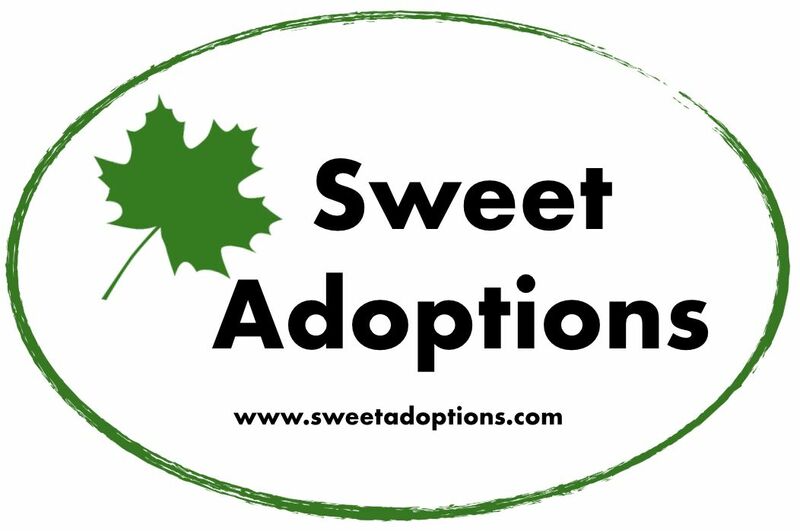 The Sweet Adoptions program is $79.95 per tree (which includes free shipping of the initial adoption kit containing syrup, candy and pancake mix). Sweet Adoptions is using trees and products from two Franklin County, Vermont, maple sugar makers - Moonlight Maples, run by Robbie Morrill of Georgia, and Henpecker Ridge Maples, run by Michael Howrigan of Enosburg. Morrill taps about 14,000 trees while Howrigan has about 19,000 trees that he uses. "The global maple market has really exploded in the last several years," said Morrill. "The larger, corporate maple producers have benefited greatly, while smaller guys like Michael and me have been pulled along for the ride. The Sweet Adoptions program will help raise the profile and give us an additional avenue for our healthy, sweet products ."